Calculus Essentials For Dummies(9781119591207) was previously published asCalculus Essentials For Dummies (9780470618356). While this version features a newDummiescover and design, the content is the same as the prior release and should not be considered a new or updated product. 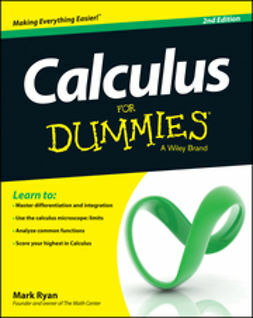 Many colleges and universities require students to take at least one math course, and Calculus I is often the chosen option.Calculus Essentials For Dummiesprovides explanations of key concepts for students who may have taken calculus in high school and want to review the most important concepts as they gear up for a faster-paced college course. 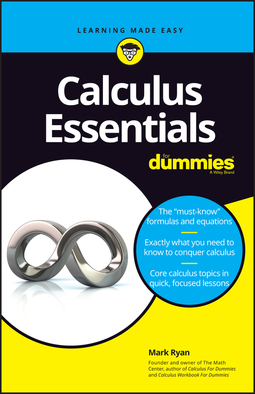 Free of review and ramp-up material,Calculus Essentials For Dummiessticks to the point with content focused on key topics only. 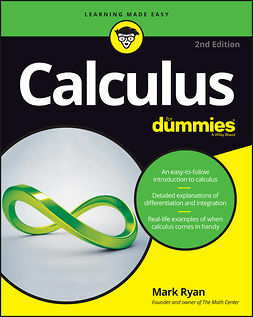 It provides discrete explanations of critical concepts taught in a typical two-semester high school calculus class or a college level Calculus I course, from limits and differentiation to integration and infinite series. This guide is also a perfect reference for parents who need to review critical calculus concepts as they help high school students with homework assignments, as well as for adult learners headed back into the classroom who just need a refresher of the core concepts. 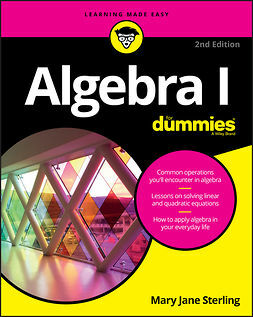 Dummies is proud to present our new series,The Essentials For Dummies. Now students who are prepping for exams, preparing to study new material, or who just need a refresher can have a concise, easy-to-understand review guide that covers an entire course by concentrating solely on the most important concepts. From algebra and chemistry to grammar and Spanish, our expert authors focus on the skills students most need to succeed in a subject.